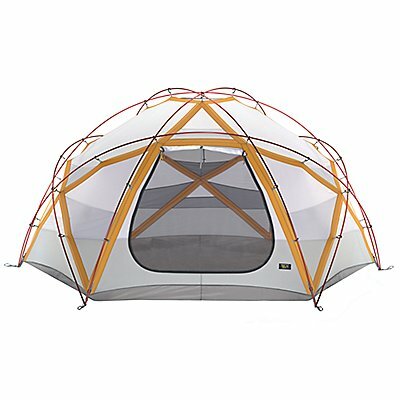 When your expedition team has a designated Sherpa, lama, mule, or BTH (big tent hauler), this 30-pound, four-season tent is the way to go. 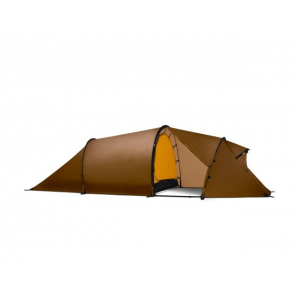 It’s priced well under what you’d expect to pay for a double-walled, top-of-the-field expedition tent, but you’ll find that the Satellite 6 doesn’t skimp on technology, nor on weatherproof protection. 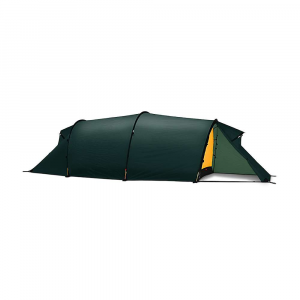 The fully taped 70 denier nylon ripstop rainfly ensures your gear and bags are protected from whipping rain and snow flurries with a 1,500 mm thick polyurethane and silicone coating. 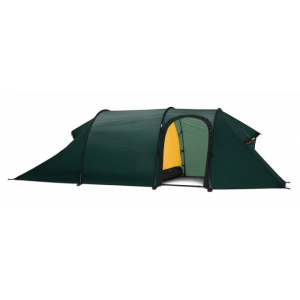 The 210 denier nylon floor has a super-thick 5,000 mm waterproof rating. The canopy is made of water-resistant 40 denier nylon ripstop and 20 denier nylon mesh for breathability and added protection from the elements. 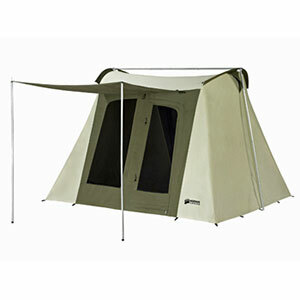 The perimeter seam is taped, and the corners and clip anchors are welded for added durability. If the construction doesn’t impress you, perhaps the rain-room testing of soaking it with 1,200 inches of rain in 24 hours will. 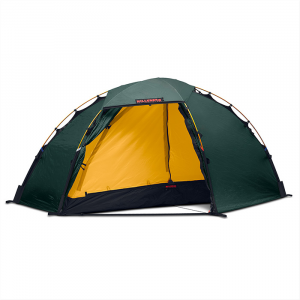 It pitches with seven state-of-the-art Scandium poles and a reinforced “Evolution Tension Arch” integrated into the canopy to stand up to brutal winds. The Mountain Hardwear Satellite 6 is not available from the stores we monitor. It was last seen May 23, 2013	at OMCgear.